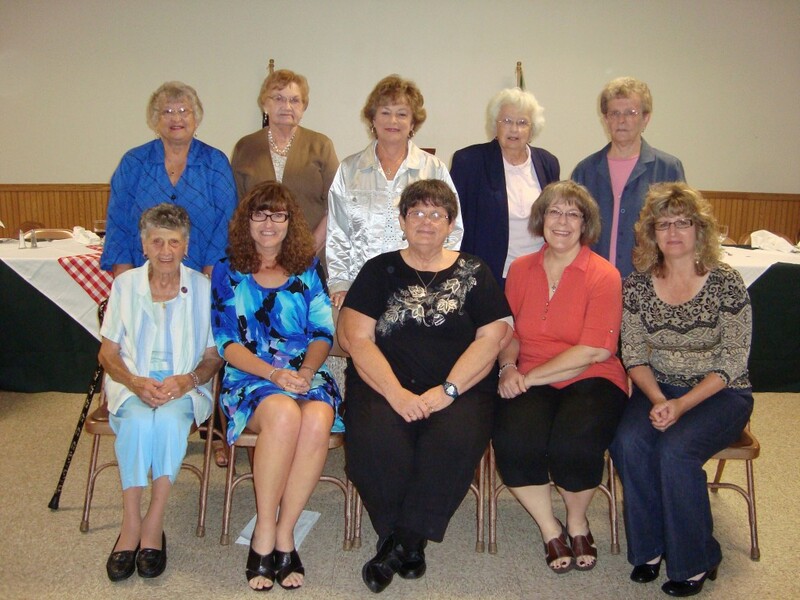 Several members of the Vittoria Lodge Auxiliary gathered to make guanti desserts for the annual dinner to be held on June 12, 2011. 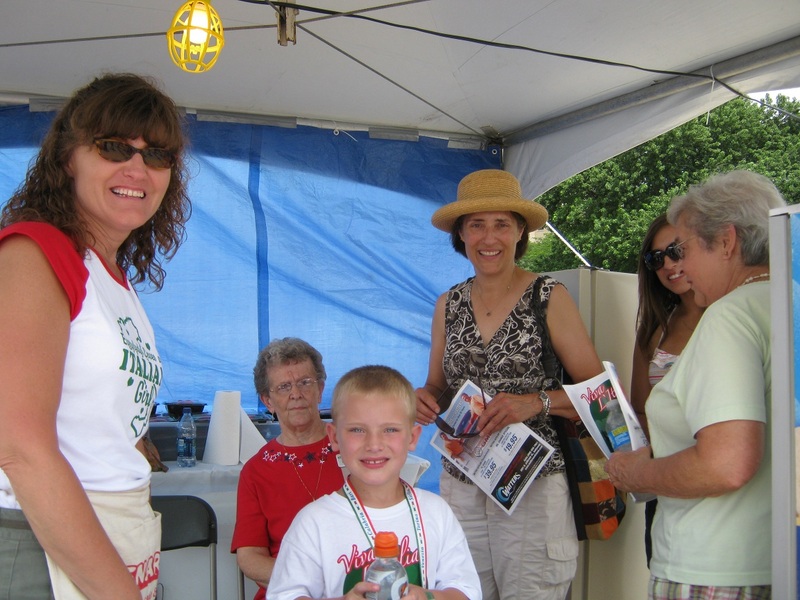 Below is a slideshow of pictures from this fun-filled day. 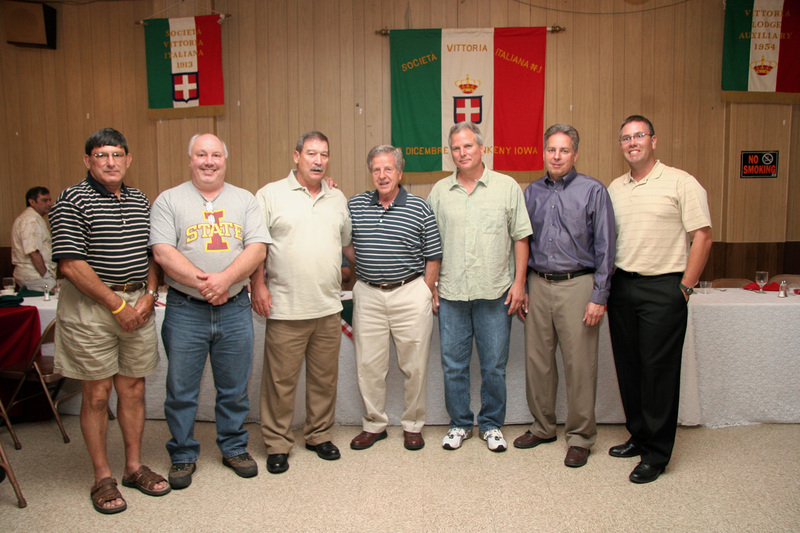 On Sunday, November 7, 2010, several members of the Vittoria Lodge and auxiliary attended a “Dinner with Culture” event at the Italian American Cultural Center of Iowa. A presentation on Christmas in Italy was presented by the cultural center, folowed by a delicious dinner prepared by Tony Lemmo of Cafe di Scala. Below are photos from the event. 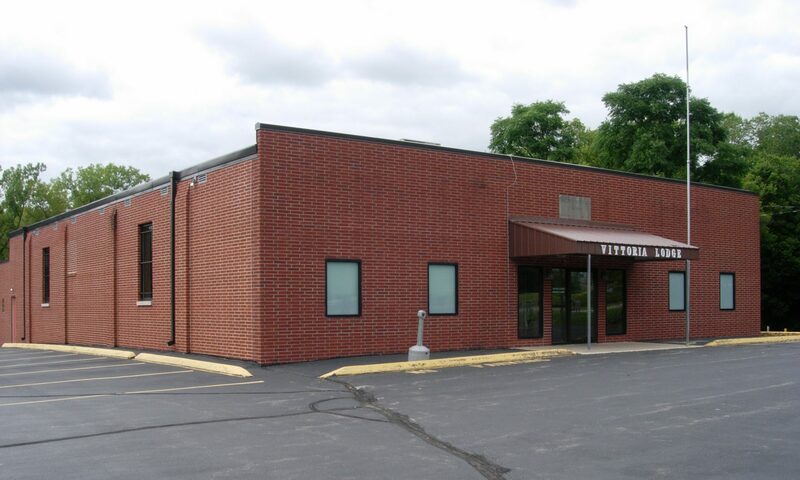 At the annual Columbus Day Dinner presented by the Italian American Cultural Center of Iowa, President Jim Forneris of the Vittoria Lodge presented a $7,500 donation to the Cultural Center to be used as a payment on the principal of the Cultural Center’s mortgage. 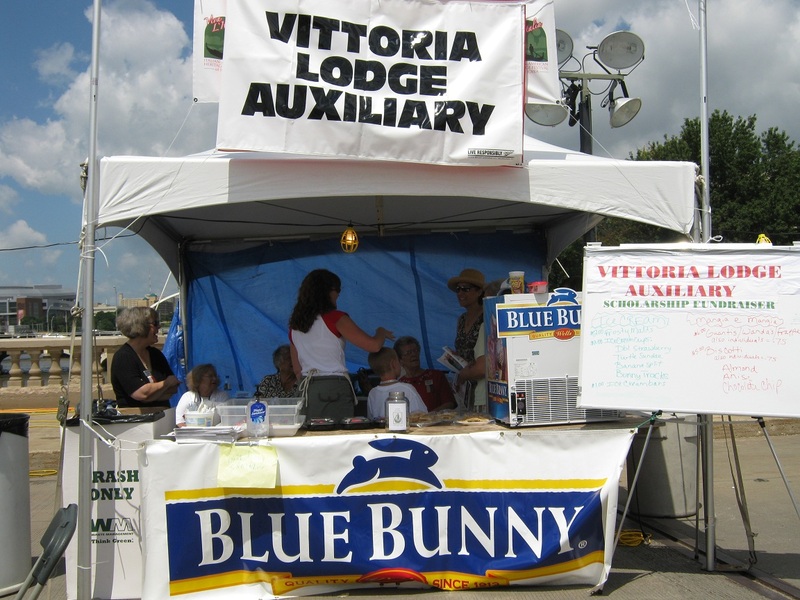 The donation came from the proceeds earned by the Vittoria Lodge’s efforts at this year’s Italian American Heritage Festival of Iowa. 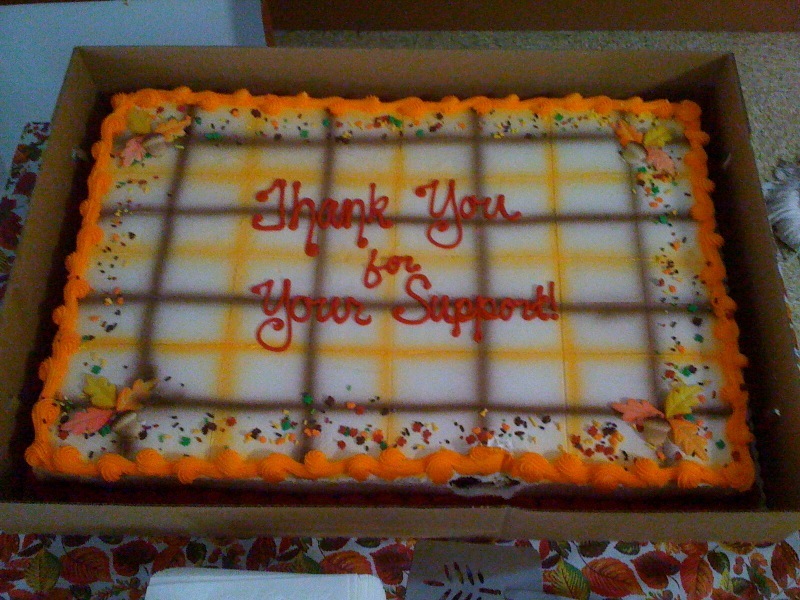 In appreciation for their donation, the Cultural Center sent a cake and a letter of thanks to the Vittoria Lodge at their October meeting. 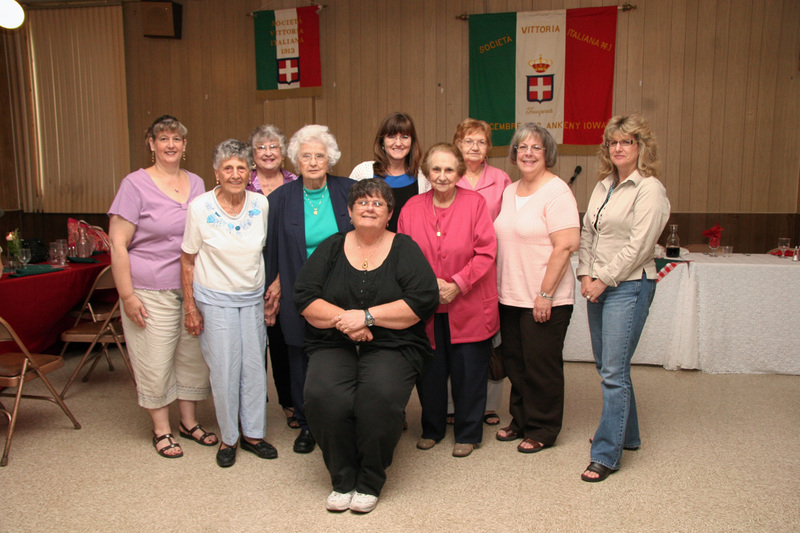 The women of the Vittoria Lodge Auxiliary held a marathon biscotti baking session on Saturday, July 10 to bake biscotti to sell a the Viva L’Italia festival. They worked hard and accomplished a lot of biscotti. Below is a slideshow of a lot of fun in the kitchen! 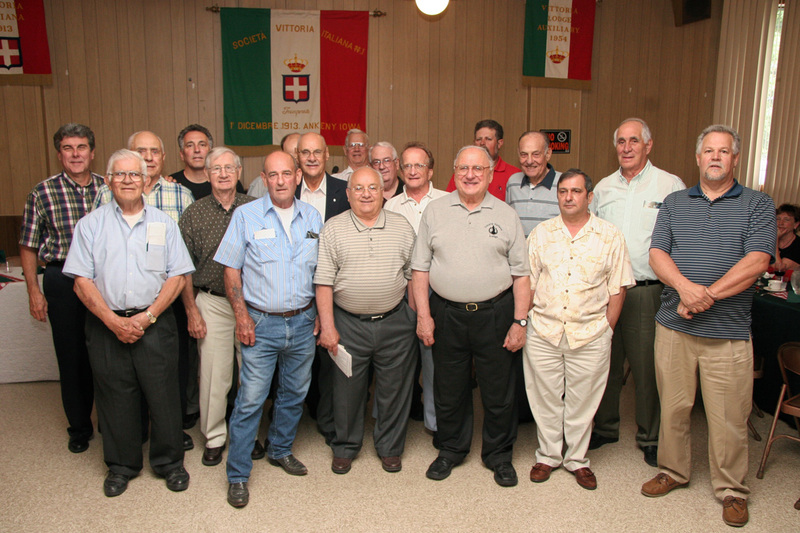 The Vittoria Lodge held its annual dinner on Sunday, June 13, 2010 at the lodge hall. 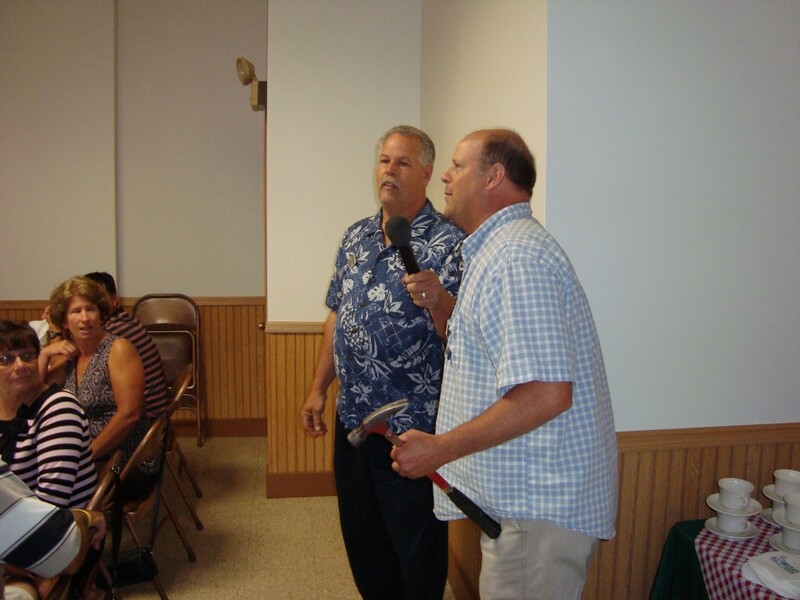 Before a delicious meal of pasta and chicken was served, lodge president Jim Forneris completed the hall remodeling project by attaching the last piece of trim. The meal was followed by a program which included a review of the successful year by Jim and auxiliary president Julie Jennings. 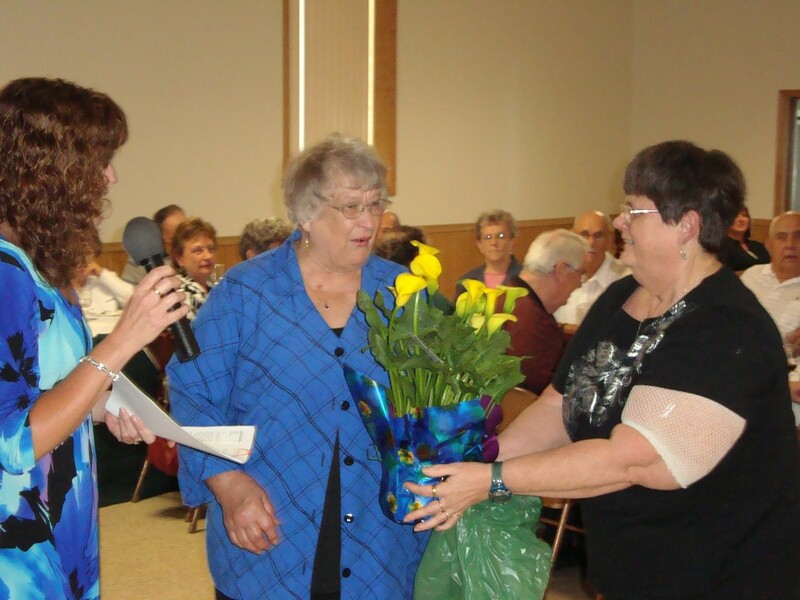 Outgoing auxiliary president Mary Ladurini was also presented with a bouquet of flowers in honor of her many years of service to the group. 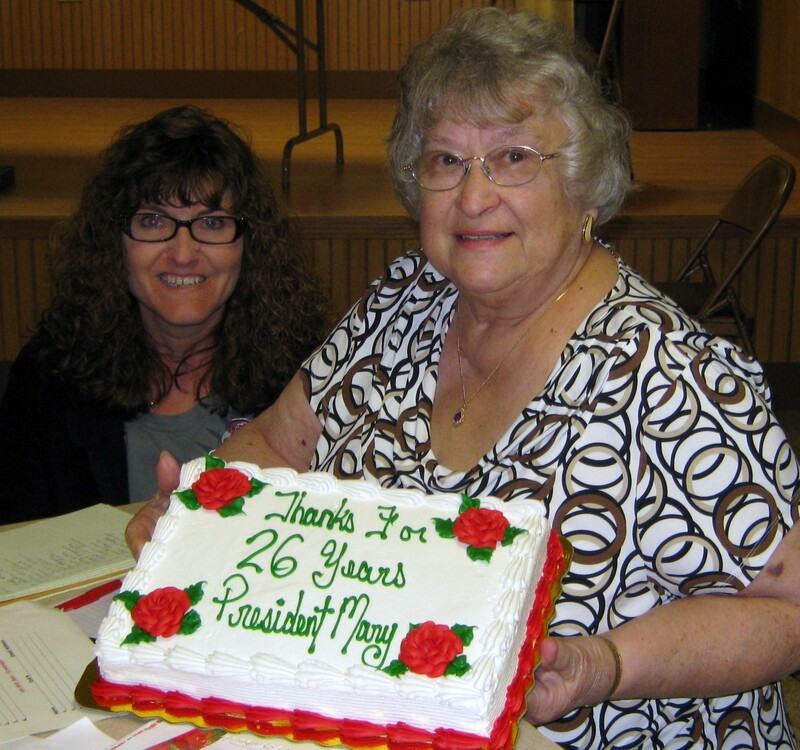 Vittoria Lodge Auxiliary President Mary Ladurini was honored at the group’s May meeting for her 26 years of service as president of the auxiliary. Julie Jennings will be replacing Mary as president. Other officers and trustees elected at the May meeting include: Vice-President – Kathy Lickteig, Secretary – Judy Grant, Treasurer – Kim Magnani, Sgt. 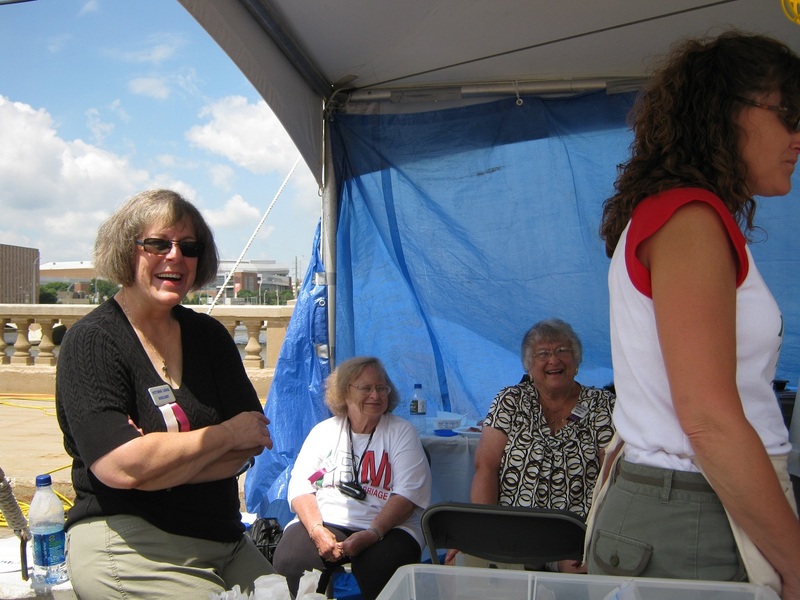 of Arms – Norma Fousak, and Interpreter – Della Stefani. 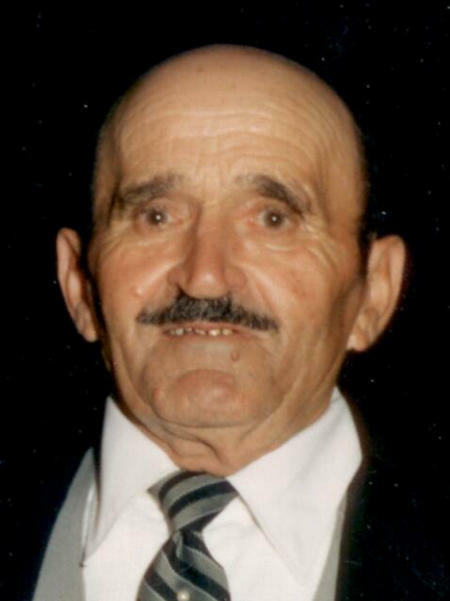 Trustees elected include: Tina Battani, Betty Bimbvi, Mary Ladurini, Sarah Mahnani, and Freda Prati. Alternate trustees elected were: Darlene Cross, Della Stefani, and Mary Tonini. 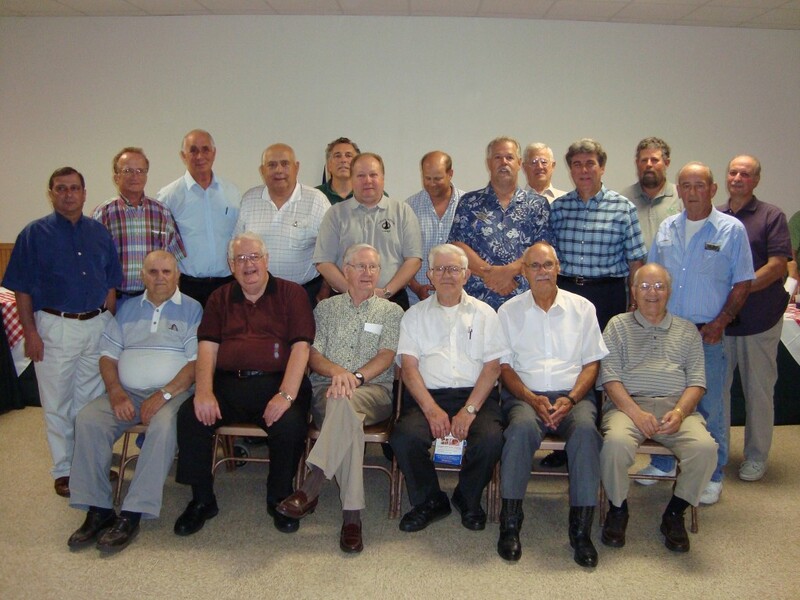 Photos from the 2009 Annual Dinner are now available in the Vittoria Lodge Photo Albums. Over the past two months, members of the Vittoria Lodge have been hard at work remodelling the main hall of the lodge building. New walls, ceiling and lighting are the highlight of the project. The panoramic photos below are courtesy of member Rick Hutcheson. If you are interested in using the hall for your event, please see our Lodge Building Usage page for more information.